In 2018, everyone has heard of Bitcoin, Ethereum and various other cryptocurrencies. As we move into the new year, it seems like everyone is getting involved in crypto coins. While Bitcoin has dominated the news in recent years, there have been many other alternatives growing in popularity and value in its shadow, and now that Bitcoin has become out of the reach of most casual investors, it is worth looking elsewhere for investment opportunities. One of the names you might have heard bandied around various internet forums and cryptocurrency sites is Litecoin. But what is Litecoin? Is it worth investing in? And should you jump in at the deep end and give it a go? To answer your questions, let us read on and find out more! Litecoin is the fourth most popular digital currency in current circulation, and 2017 saw its market capitalisation reach incredibly dizzying heights. Its stratospheric rise to prominence is reminiscent of Bitcoin a few years ago, and for investors looking for the next “bitcoin”- this could be the currency for you. Litecoin is based on a similar concept to that of Bitcoin and it actually “forked” off the Bitcoin ledger back in 2011. When it was launched, it was intended to be the silver version of Bitcoins gold, and it was engineered to be a more lightweight version of Satoshi Nakamoto’s crypto coin. One of the big bonuses with Litecoin is the fact that it takes around 2.5 minutes to complete a Litecoin transaction, compared to Bitcoins 10 minutes plus (recently, more like few hours). It is defined as a peer to peer cryptocurrency that was realised under an open source project on an MIT/X11 license. The creation and transference of the coins use an open source cryptographic protocol, and it is complete decentralised. It was launched on the 7th of October 2011 and was created by a former Google employee called Charlie Lee. It is substantially identical to Bitcoin, except it has a lower block generation time, a maximum increase number of coins, a different hashing algorithm and a slightly different GUI. 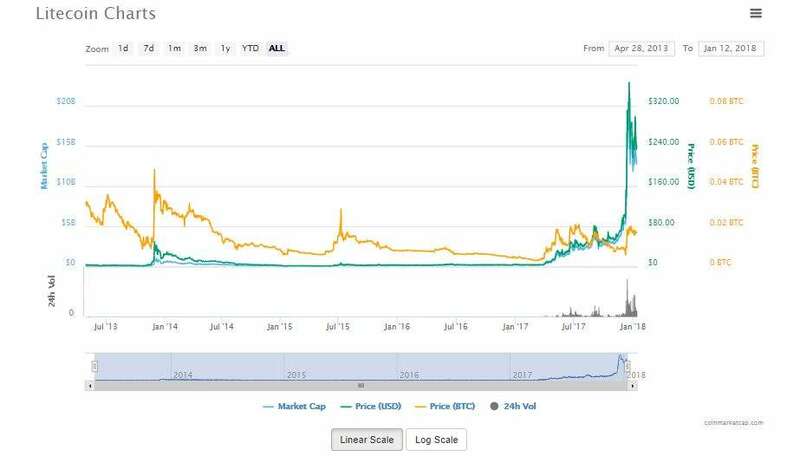 By November 2013 Litecoin had achieved a market capitalisation of $1 billion, and by 2017 its market bap was $20,000,000,000 with a value of more than $371 per coin. As of May 2017, Litecoin became the first cryptocurrency to use the Lightning Network and to transfer a fraction of currency between Zurich and San Francisco in less than one second. Litecoin is a lot easier to DIY mine than a Bitcoin and can be done at home with a regular PC. If you have a particular mining machine that uses Scrypt, then you are at an advantage, but it is not a necessity. If you want to mine your own Litecoin, you can do so from home, with just an afternoon of setting up. First of all, you need to understand the process of cryptocurrency mining. To mine a cryptocurrency, you need a machine that can process and solve complex algorithms. As soon as that block of algorithms is solved, more currency is released into the market, and essentially, into your pocket. The next thing to consider is if you want to mine, or if it makes more sense for you just to purchase it on an exchange. Be aware that you will need to pay for a computer capable of mining, as well as the electricity required to power it. You also need to be aware that the process of mining can make your bills rack up quite considerably. As a general indication, mining on your home computer and taking into account the costs of the hardware and electricity – the cost can often outweigh the amount that you mine. If you are considering mining on a small-time basis, it could be worth just purchasing it instead and saving yourself all of the other overheads. Next up you are going to need to get yourself a mining computer as using your work laptop isn’t going to cut it. 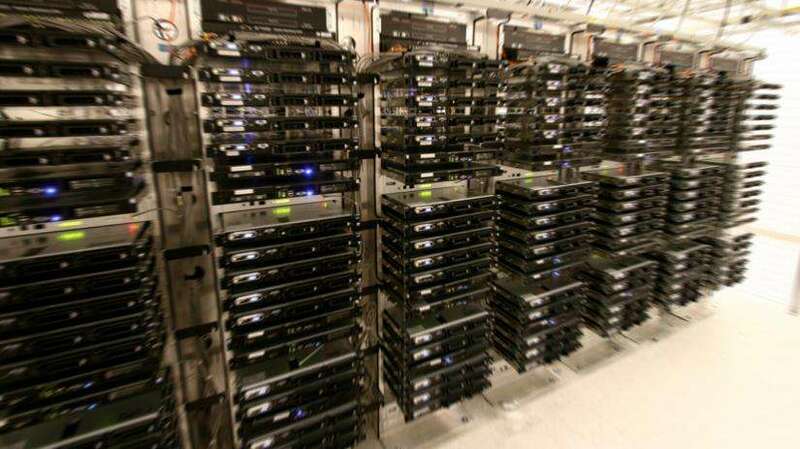 The technical word for these machines is a “rig”, and you will need at least 3 or 4 graphics cards that are connected to a custom setup. You can purchase these online, or make your own but again, that depends on how technical you are. You also need to have as much RAM as you have on your graphics cards, and you need to invest in a specific cooling device to keep your computer at a constant temperature and stop your machine from burning out. It is also worth considering a specialist ASIC Scrypt miner which is a particular machine that can significantly increase your mining capabilities. They don’t come cheap, but they tend to be much more efficient than doing it yourself. You can also get low-power versions that can save you a fortune on electricity. They aren’t the easiest things to track down, and you may have to go on a waiting list before you can purchase one, but if you can afford it, it is well worth the investment. Once you have considered these options, you need to put some serious thought into deciding if mining is financially viable for you. Check out the trends for Litecoin and work out how much mining you will have to do to pay for the equipment, electricity, and the internet. If you are breaking even on coins vs costs, then you are probably better just purchasing them. If you are going to mine Litecoin, or even just purchase them, then you need to make sure you have a secure and effective Litecoin wallet to store them in. Depending on your needs and requirements there are many options out there for you to consider, so do your research and pick the one that is right for you. Another option for those that wish to mine Litecoin is to join a mining pool. There are lots around, and they can save you a lot of money, and time when it comes to mining a particular block. It essentially combines all of your efforts and facilities with other users and then splits the reward equally among everyone that has participated. Yes, you will get less coin in your wallet, but you will have saved yourself the financial outlay of mining, and you have a chance to regularise your income. First of all, the two cryptocurrencies used different algorithms. Bitcoin utilises the well known and recognised SHA-256 algorithm, but Litecoin makes use of a newer, improved algorithm known as Scrypt. The difference between the two is that they both have a very different impact on the way in which new coins are mined. While the process of confirming a transaction requires immense computing power, the SHA-256 is considered to be a much more complicated process than Scrypt. Scrypt is generally less susceptible to hardware issues that are employed by ASIC based mining, but that has only resulted in coins such as Litecoin that use Scrypt based currencies, being considered more accessible to anyone that wants to participate in the process of mining. Another significant difference between the two is the number of coins that are available to be mined. Bitcoin has a capped limit of 21 million coins, whereas Litecoin has 84 million coins available. Litecoin also takes significantly less time to process a transaction with it taking just 2.5 minutes, compared to Bitcoins 10. How Can Litecoin Be Used? Litecoin can be used for a variety of reasons. First and foremost, you can use it on an exchange in the same way that you might use a fiat currency. You can buy and sell it against the value of other fiat or cryptocurrencies and use it to make a profit. Alternatively, you can buy it and keep it in your cryptocurrency wallet, and then sell it on at a time when you can make a profit, based on how much you paid for it initially. The other option is to use it to exchange for goods and services. As Litecoin’s popularity increases, there are a growing number of retailers and merchants that will accept the coin or a fraction of the coin for payment. It isn’t just the big names that are accepting Litecoin – a growing number of smaller merchants are advertising that they will accept payment in a range of other cryptocurrencies- Litecoin included. How and Where to Buy Litecoin? If you have decided that mining isn’t for you, then don’t worry, there are plenty of places where you can purchase it, or exchange another cryptocurrency for it. Which exchange you use will depend on whether you have fiat currency to exchange for Litecoin, or whether you want to purchase it using another cryptocurrency such as Ether, or Bitcoin. Coinbase is one of the worlds most famous and well-known cryptocurrency exchanges and wallets. It was launched in 2012, and since then they have grown to have over 12 million global customers and trade value to date more than $50 billion. It’s well known for being very easy to use, as well as being available to customers in most countries. You can pay by bank transfer or credit card, but be sure to check the fees before you press send as they can reach as much as 5% in some cases. Also be aware that you will need to verify your account with information like utility bills and government-issued ID before you can purchase your Litecoins. For more details, check our Coinbase review. This platform was founded back in 2013 and at its inception, it was the first cloud mining provider. It has since evolved to become a multifunctional cryptocurrency exchange and it has well in excess of half a million regular users. The beauty of this site is that you can purchase your Litecoin, trade your Litecoin, and sell your Litecoin across multiple different platforms including the website, mobile app, and REST API. You can also choose to trade with USD, EUR, GBP and RUB so you have pretty much covered all buying options. When it comes to security levels, CEX.IO is considered as one of the most secure around due to the fact that they possess a PCI DSS certificate (Level 2) which basically means that they satisfy some pretty stringent security criteria when it comes to storage, processing, and the transmission of important data such as card details. They also apply AML and KYC procedures and policies to their clients and offers two-factor authentication via Google Authentication, or via SMS/telephone call. This is an Austrian crypto-brokerage service which allows customers from most EU countries to purchase Litecoin with a credit or debit card, Skrill or SEPA transfers. For any individuals who are resident in the EU, the fact that you can pay via SEPA transfer is a big plus. The company is quite new in comparison to some of the other names on the list, and it was formed back in 2014, but it has since become one of the most trusted names in the market. Whilst its exchange rate is a little higher than some other alternatives, its not the most expensive you will find. BitPanda is also quite stringent when it comes to verifying your identity. If you are looking for an anonymous platform, then this is not the one for you as you need to submit and ID form and take part in a video chat verification in order to verify your account and secure a higher transaction limit. Kraken is an excellent option for those that are interested in margin trading. For those that are a little more experienced in the worlds of forex, or cryptocurrency trading, it is a fantastic option. It was launched in 2011 and is now one of the largest Bitcoin trading platforms, but it also offers trading and exchange services for Litecoin, Monero, Ripple, and Ethereum. You can purchase your coins via wire transfers, and it accepts fiat currencies such as USD, JPY, CAD, and GPB. This is a cryptocurrency exchange that has become incredibly popular in Europe. This is because deposits can be made via SEPA with absolutely zero transaction fees. Established in 2011, it is one of the longest standing and most reputable exchanges out there, and it is well known for its excellent security features including multisig technology and 2-factor authentication protocols. Another bonus is the fact that most of the currency is stored in cold storage, meaning it is out of the reach of hackers. For more details, visit our BitStamp review. It is no secret that cryptocurrencies are far from a sound investment. The fact that they are decentralised means that they are volatile in nature and their value and future can be somewhat unpredictable. That said, it seems that Litecoin is here to stay. Trends show a steady but lucrative increase in its value, and the fact that it is considered as a better version of Bitcoin means that it is unlikely to go anywhere anytime soon. 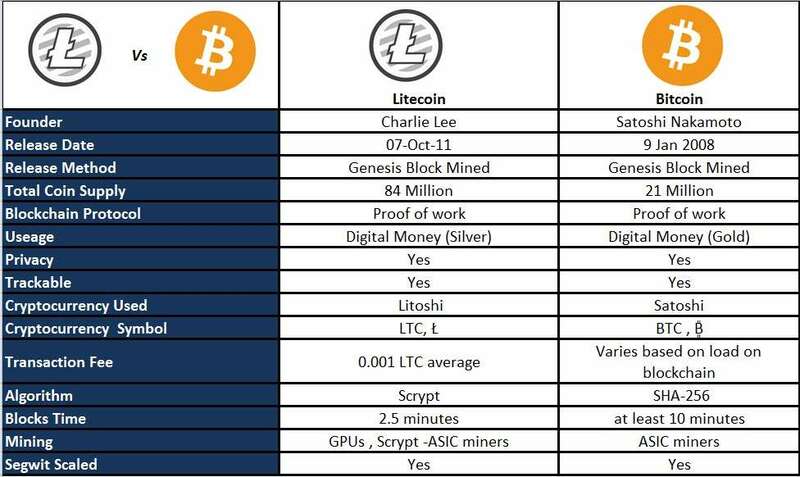 For those who like the look of Bitcoin, but that missed the boat regarding accessibility, Litecoin is a superb alternative to a future that looks like it is going places. Investing in Litecoin could be an excellent option for those looking for a better alternative to Bitcoin. Litecoin is often forgotten or disregarded since it hasn’t introduced anything revolutionary, but thanks to that the price is less volatile. If you need more information about what is Litecoin, check our article about the difference between Litecoin and Bitcoin or our Litecoin page.